With the new campaign just a week away, the Width of a Post 2018/19 season preview podcast is now available to download/listen to online. The close season has been eventful at Valley Parade, with the arrival of a new head coach team and several ins and outs. Presenter Katie Whyatt is joined by Jason McKeown and Tim Penfold to discuss the appointment of Michael Collins, the performances over pre-season and the raft of exciting new signings. 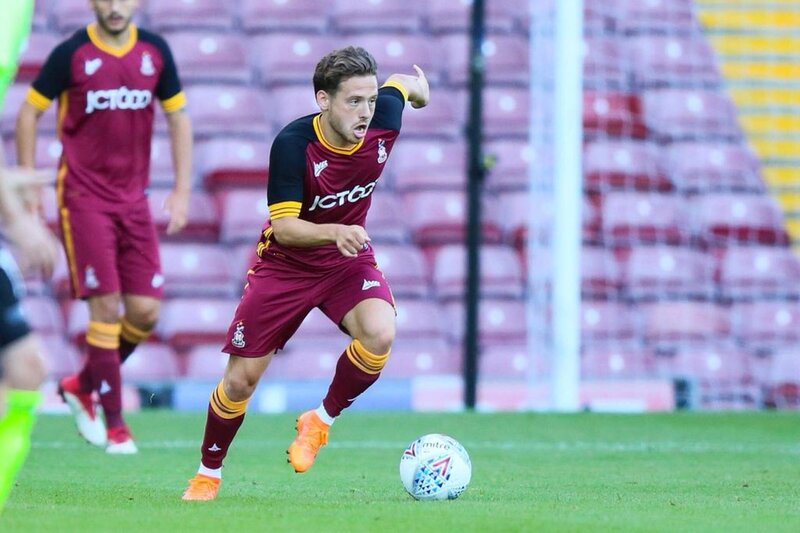 ‹ Can Bradford City afford to sell Charlie Wyke? As ever, a great podcast with the contributors not pulling any punches and telling it as it is in their eyes. Sadly, the division between the fans towards the owners shows no sign of abating and, on social media, has overshadowed what appear to have been some good signings. There is a feeling that many fans are looking for the team to fail as a way of getting back at Rahic and Rupp. It’s all so very sad to see the direction the Club is going in. There is little sign of “togetherness” and, there appears to be such a mistrust of the media that very little information is released. In previous years, accurate season ticket sales figures were regularly released and acted as a driver to push the figure higher. This season, all we’ve had is a couple of vague “round figure” numbers reported on the club website. I would imagine that numbers actually attending home games this season will be lower than for a number of years and, such is the hostile nature of the relationship towards the owners, a bad start will see those numbers rapidly fall away. Messrs Rupp and Rahic stated they would listen and learn but didn’t say when that would start. I certainly haven’t seen any sign of it.